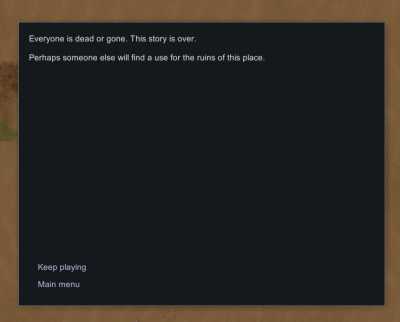 Difference between revisions of "Events"
Special events only occur during certain circumstances. 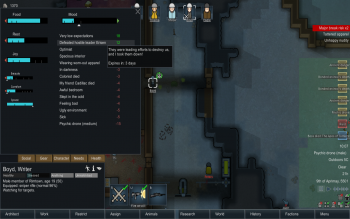 One of your stupid colonists stepped on one of your [[deadfall trap]]s and managed to set if off. 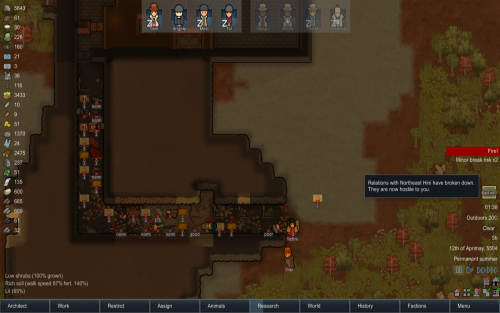 One of your stupid colonists stepped on one of your traps and managed to set if off. 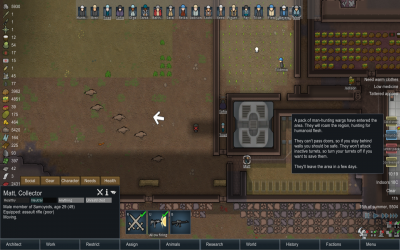 This can only happen if your colonists are forced to tiptoe around an armed trap as there are no alternative trap-free paths for them to use. 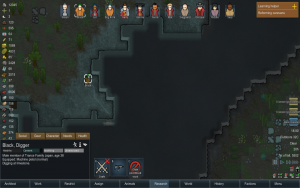 Tornadoes are exclusive to Beta 18. 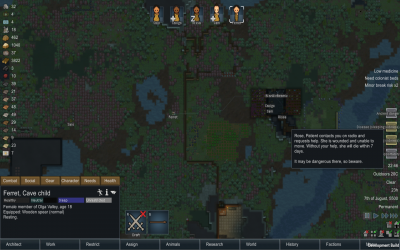 Naturally forming tornadoes are exclusive to Beta 18. 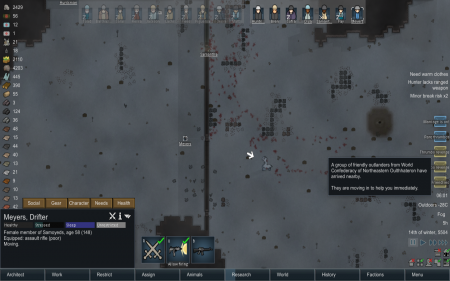 You can still use the [[Tornado generator]] to spawn them in for defense purposes. 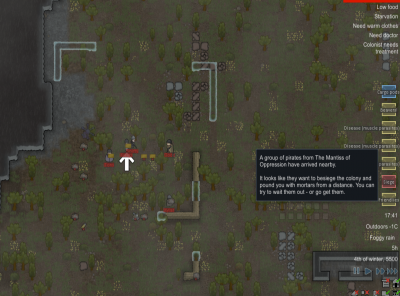 Siege raids typically have a party of raiders arrive and set up a small camp along the edge of the map with a number of sandbag walls and mortars with a variety of Mortar shells. 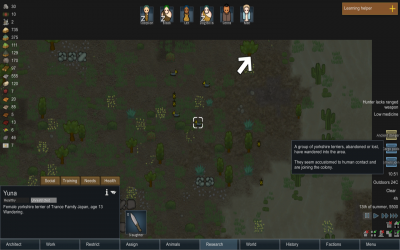 They will fire upon colonists, colony structures and any visitors or other raiders from factions they are hostile to, only stopping to eat and sleep. 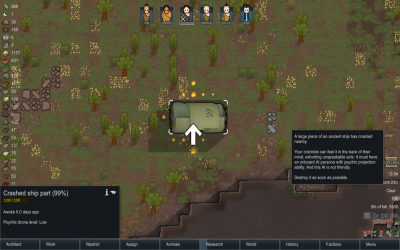 If their food or ammunition runs low, more drop pods will land to resupply the raiders. 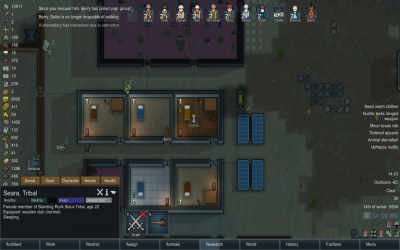 Siege parties will abandon their camp and any remaining construction to assault the colony when their siege weapons are destroyed or they suffer significant casualties. 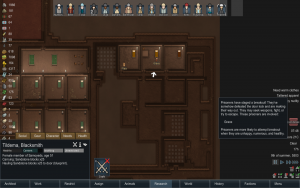 Any remaining supplies and objects from their camp can be claimed, deconstructed and used by the player. 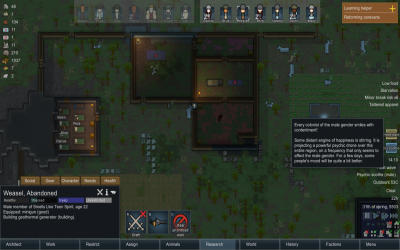 In 1.0, when using a deep drill, you may dig into a hive of insects, which will awaken and attack your colony. 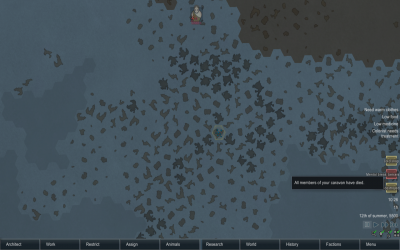 The ship spawns from 200 to 800 tiles away, with a tendency to spawn as far away as possible. 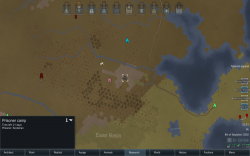 With 100% generated worlds, it will usually spawn on the other side of the planet. 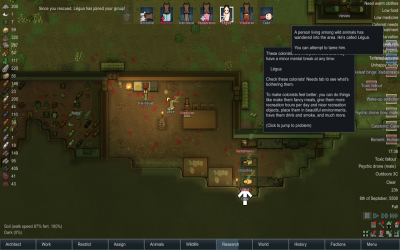 This event seems to be triggered only when all of your colonists are downed. 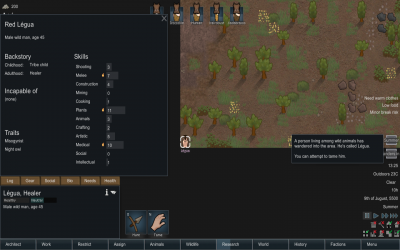 When your colonists are no longer able to defend themselves, a stranger may join the colony to help. 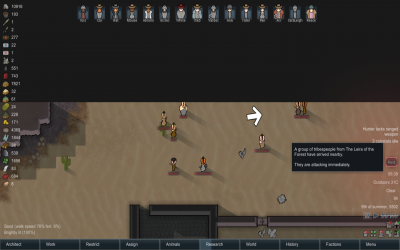 As their namesake goes, men in black come in a full set of black clothing. 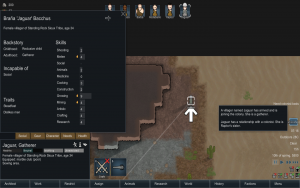 They also come wearing a flak vest and always carry a revolver, while not necessarily being skilled at shooting. 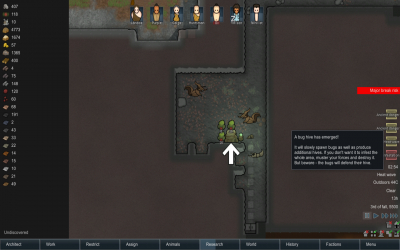 To stop blight, the affected plants need to be cut or burned. 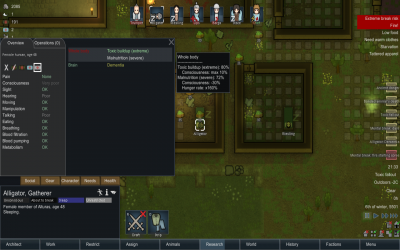 The blight starts at 10% severity, on 20% of your plants. 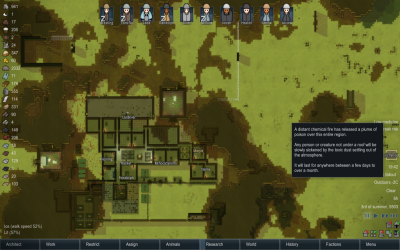 It will progress slowly once plants are infected, and once it reaches 28% it can spread to nearby plants within a 4-tile radius. 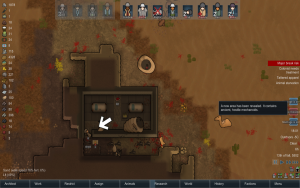 One of your colonists or animals has died unintentionally. 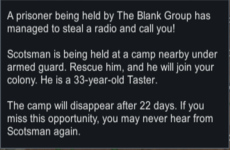 Slaughtering an animal will not produce this event. 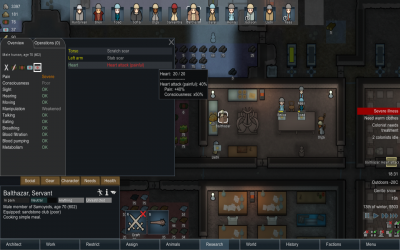 A character or tamed animal suffers a heart attack. 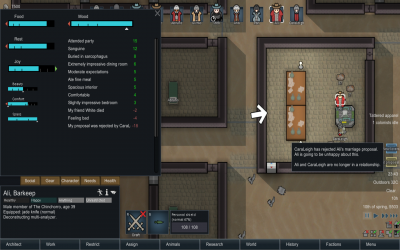 Characters will go to rest to any bed assigned to Medical instead of returning to his or her own assigned bed and animals will return to the nearest empty animal bed or sleeping spot. 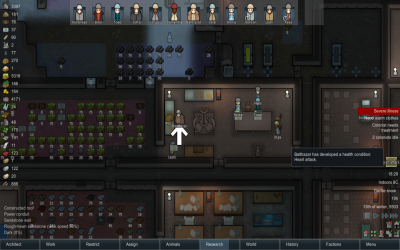 Doctors will then proceed to attempt to resuscitate the victim, using medicine up to their assigned medicine level if available. 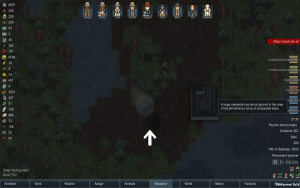 Solar flares cause all electrical items on the map to stop working for the duration of the event. 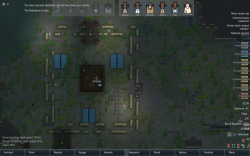 Solar flares are particularly dangerous for colonies that rely on turrets for defense, as they will be vulnerable to any raid that arrives during the solar flare. 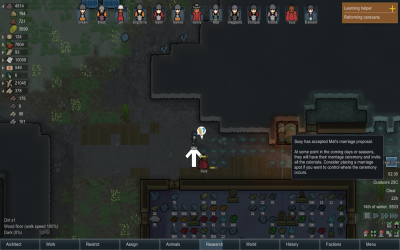 Solar flares will cause coolers to fail, causing any frozen perishable goods to begin spoiling if warm enough outdoors. 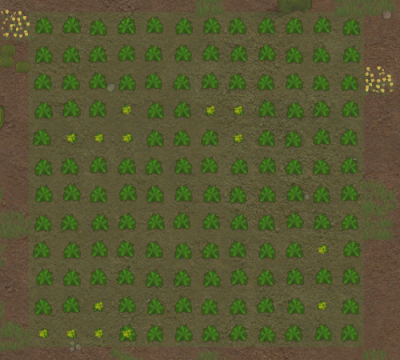 In cold areas, heaters will fail causing ground based greenhouse crops to quickly die as well. 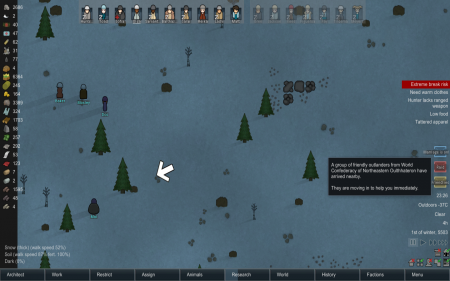 Cold temperatures can be abated with campfires though. 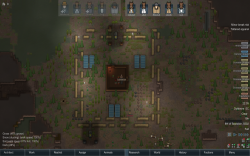 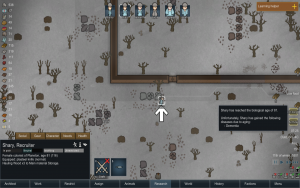 Colonists will also be at risk of getting heatstroke or hypothermia if you're in an area with extreme temperatures and don't have other temperature control devices. 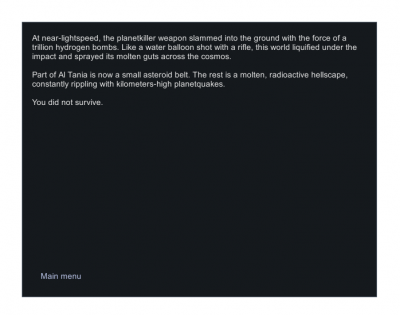 This notification will appear once relations have been improved with a Hostile faction enough that they will no longer be hostile. 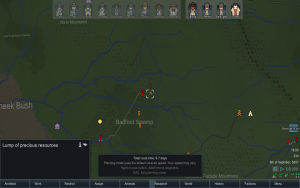 Common ways to improve relations include releasing prisoners from their faction (which must leave the map safely to receive the bonus) or providing gifts. 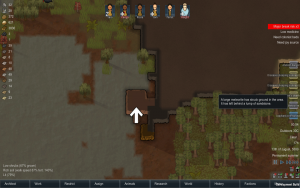 Any colonists beneath the meteorite has a small while to escape before they are crushed by it. 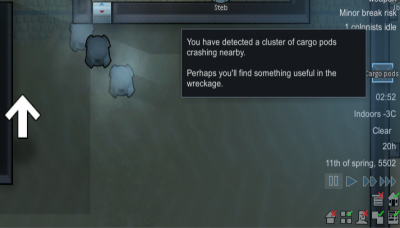 One or more ship chunks fall into the map. 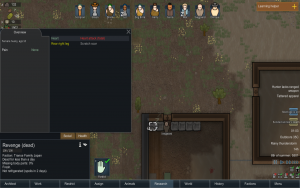 They can be deconstructed for components and a small amount of steel, but they can punch through roofs, damage structures near it, and extremely rarely land right on top of a colonist, killing them. 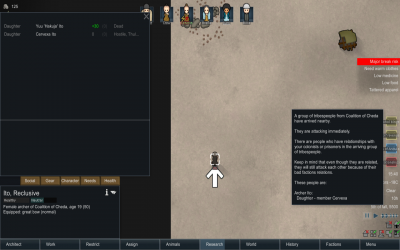 There is no notification for this event, simply a message on the top of the screen. 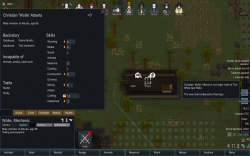 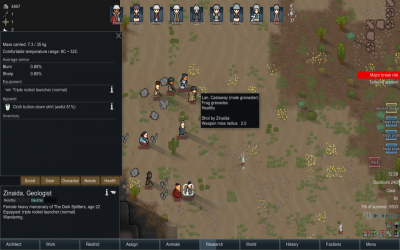 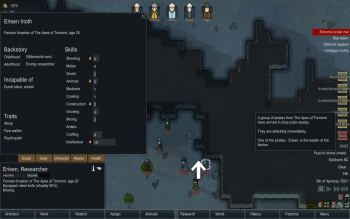 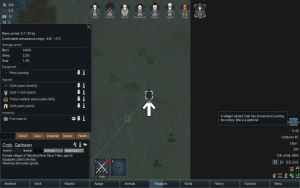 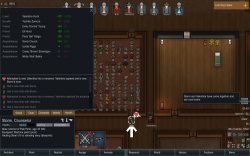 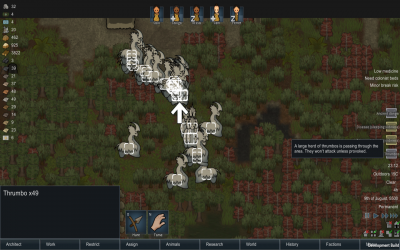 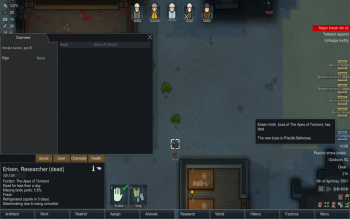 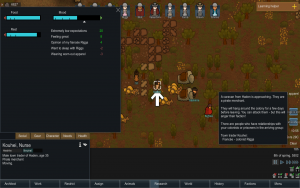 A colonist or tamed animal has suffered a brain injury and has gained great abilities from it at the cost of others, such as increased manipulation while losing the ability to speak and hear. 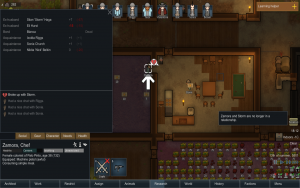 It also restores the brain to full functioning despite the injury. 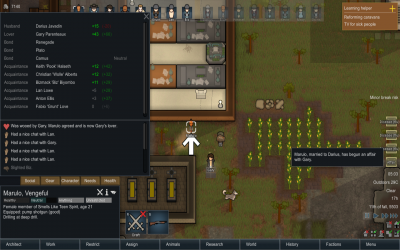 This only has a 12% chance to trigger on receiving brain injuries. 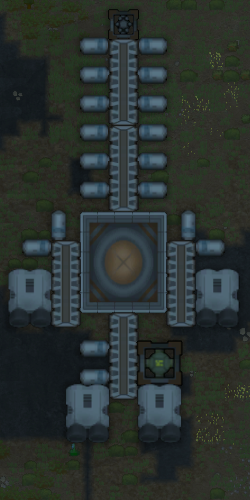 This event may only occur once the long-range mineral scanner is built and powered, and even then on average once every 30 days. 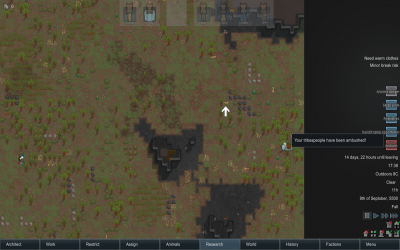 Your long-range mineral scanner has found a lump of precious resources nearby, either gold or jade. 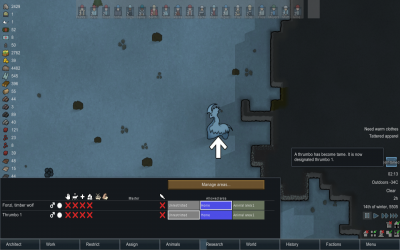 We don't know who or what - if anything - might be guarding it. 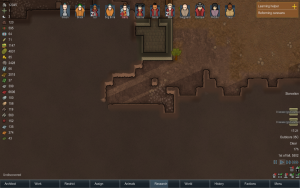 The minerals are usually be guarded either by pirates or a manhunter pack. 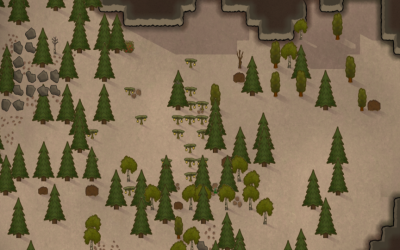 Once colonists reach the spot, a temporary map will be generated with the precious mineral lump in the middle. 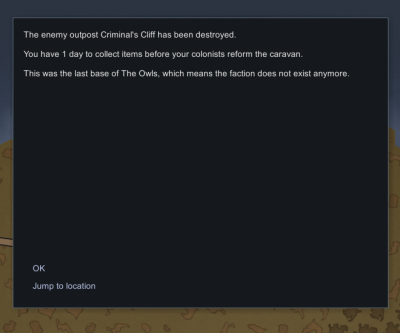 After arrival and defeat of all enemies, you have 10 days to mine the lump and anything else around it. 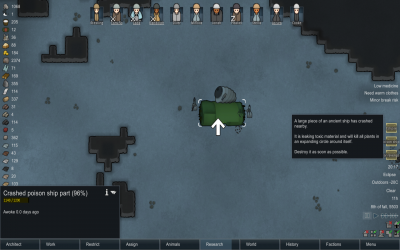 Prior to your colonists reaching it, the lump lasts for 30 days (or forever prior to 0.19/1.0). 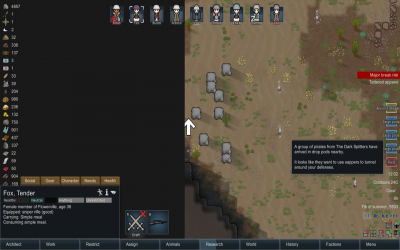 Enemies may enter the minimap a little while after your colonists arrive, or suddenly appear near the objective when your pawns draw close to it. 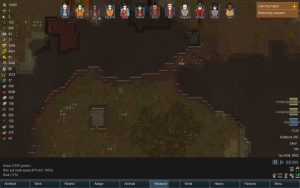 It's a current bug that the threat of an Ambush will appear on the World tab before your colonists have triggered the actual ambush.